While we gathered on the banks of the Delaware just two weekends ago for the 25th XPoNential Music Festival, countless other music festivals took place at the same time. From Mo Pop in Detroit to Panorama in NYC, and the regarded Newport Folk Festival in Rhode Island, the last weekend in July is historically a great weekend for outdoor live music. 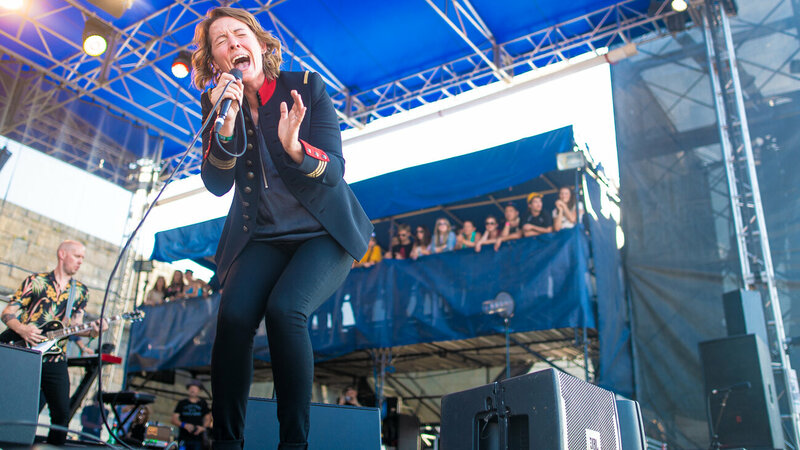 It was up in Newport where XPN-fave Brandi Carlile delivered a stunning set on Sunday afternoon, and thanks to NPR Music we can now listen back to the set. In an interview with SPIN Magazine back in 2010, Carlile had high praise for Newport Folk Fest, saying “It’s one of my favorites so far if not my favorite.” It would be fitting that Carlile deliver a heavy hitting set for her favorite festival, featuring tracks from her 2018 LP By The Way I Forgive You, a dynamic duo of covers late in her set, and guest appearances from The Lone Bellow, The War & Treaty, and The Watson Twins. Not to mention when she wasn’t tearing up the stage during her own slot, Carlile performed with Margo Price, Lucius, Mumford and Sons, and more throughout the weekend. Listen to the set below, and check out some fantastic photos from Brandi’s performance over on NPR Music.